Are you looking for a perfectly located, well-equipped, fair-priced, clean and welcoming place to stay where you can relax, party and meet fellow travellers? 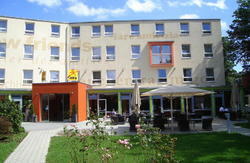 Welcome to YoHo international Youth Hostel Salzburg! 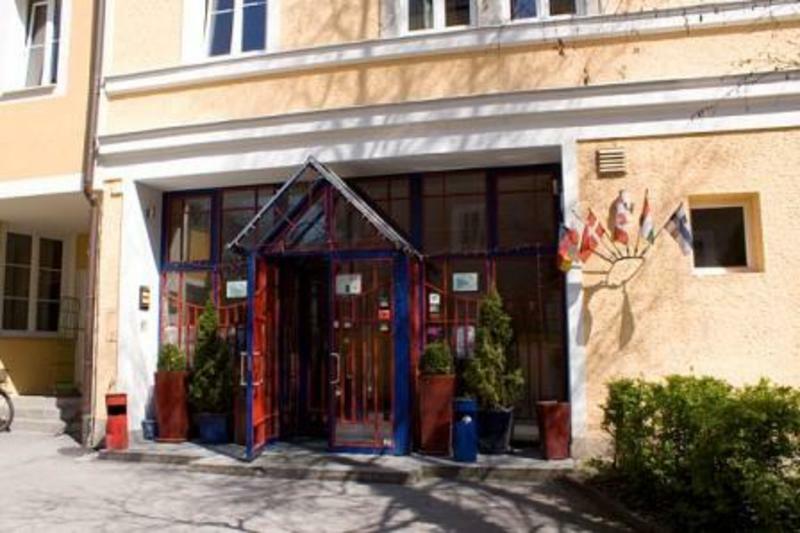 Situated in the city centre right between the train station and the old town (both just a 10-minute walk away), this is the perfect spot to explore the world cultural heritage city of Salzburg. Across our three floors you'll find spacious dorms (eight-, six- and four-bed; male, female and mixed) as well as modern private rooms with comfortable beds, key-card-operated lockers and fully renovated showers. There are private lockers in all the dorms. Our friendly, multilingual staff will be happy to provide you with free city maps, directions and lots of good advice so you can make the most out of your stay. You can get a 24hr Salzburg Card. Book a tour at the front desk (Sound of Music, Ice Caves, Salt Mines and more) and get a 10% discount. Chill out in our cosy common room, equipped with comfortable couches and a flat-screen TV. You can watch the Sound of Music movie daily at 7pm in our TV room, plan your next trip and stay in touch with your family and friends in our internet cafÃ© or party together with backpackers from all around the world in our hostel bar with great happy hour deals! Please note that meals are not included in the room rates. We offer an All-You-Can-Eat Breakfast Buffet for â‚¬3.50, including unlimited tea, coffee, orange juice, bread, ham, cheese, jam, honey, cereals, yoghurt and more. Dinner is available for â‚¬3.50 to â‚¬6.90, with classics and Austrian specialties. We offer a lot of free facilities, including Wi-Fi, fresh linen, city maps, 24hr hot showers and book exchange. Thereâ€™s also bike rental in the summer (â‚¬10 per day), 24hr laundry service (wash and dry â‚¬4), towel rental (50 cents plus deposit) and luggage storage. Our front desk is open 24hrs so thereâ€™s no lockout or curfew. At the main exit of the train station go out left - after a couple hundred meters you will come to a big crossing. on the right-hand side there is a gas station, on the left there is a train-underpass. Go through the train underpass (left side, gabelsbergerstrasse) and at the 2nd big crossing turn right. 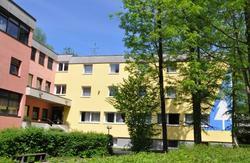 The 4th house on the right side is the YOHO (Paracelusstrasse 9) - that's it! Take bus # 2 from airport to the trainstation. Takes about 20 minutes. Busticket is â‚¬2.10. Then follow instoctions given above. Take the highway exit Salzburg Nord. Then take the B150 (Salzburgerstrasse). After 4.5 mk always continuing this street you turn right at Sterneckstrasse/B1. After 2.9 km you turn left into the Paracelsusstrasse. The 4th house on the right hand side is YOHO Int. If you are lost, please give us a phone call.